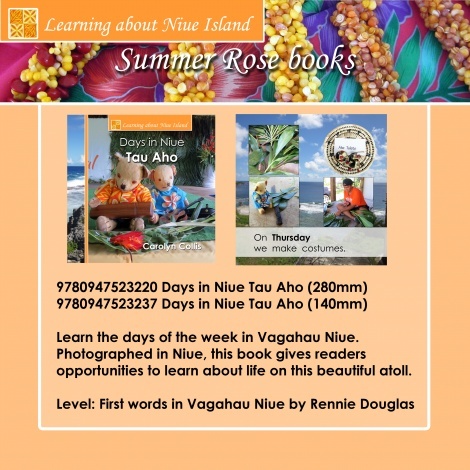 Learn the days of the week in Vagahau Niue. Photographed in Niue, this book gives readers opportunities to learn about life on this beautiful atoll. 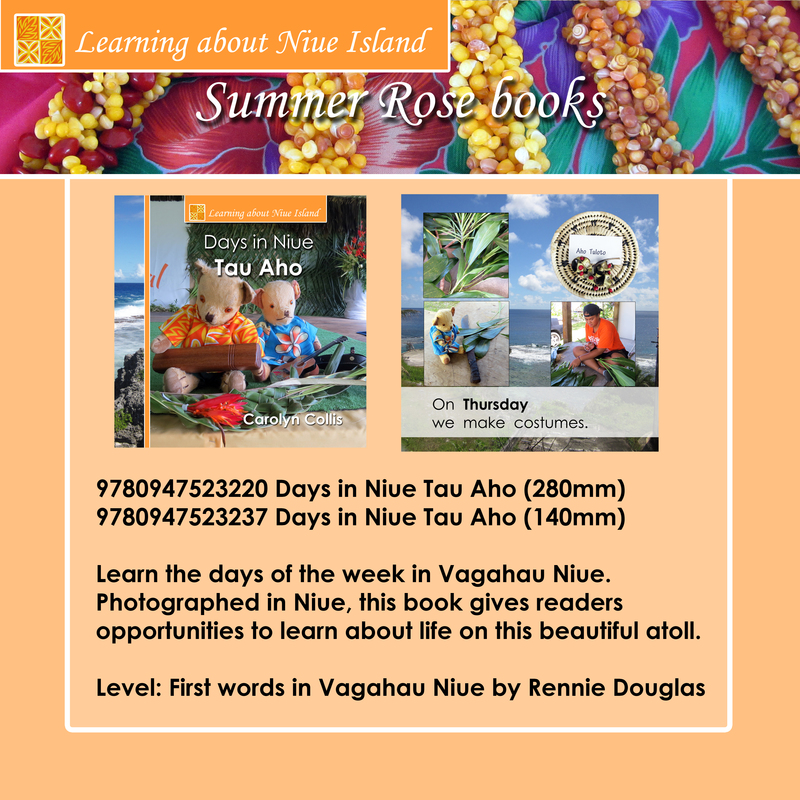 This series provides a fun way for children to learn Vagahau Niue, build reading confidence and improve general knowledge.